Looking for another summer bloom in your garden that grows like a small tree? 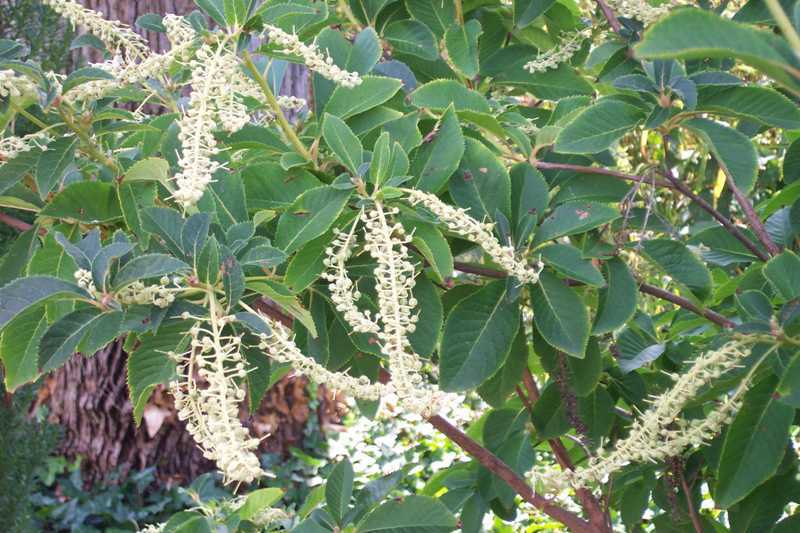 One of my favorite shrubs, Clethra barbinervis, (I like to say the name, too – it sounds like Barbara Nervous) is blooming right now in our garden. This native shrub to Japan does particularly good in well-drained soil and can handle full sun to partial shade. The nicest specimens we’ve seen grow in full sun. This honey of a bush can get up to 20’ feet. It is hardy to zones 5-7 so it is perfect for many locations. If you are looking for lanky with multi-colored, exfoliating bark and long-spiked blooms clustered with dainty white flowers, consider this underused shrub for your landscape. Just a quick note - the bees go bonkers over this Clethra.